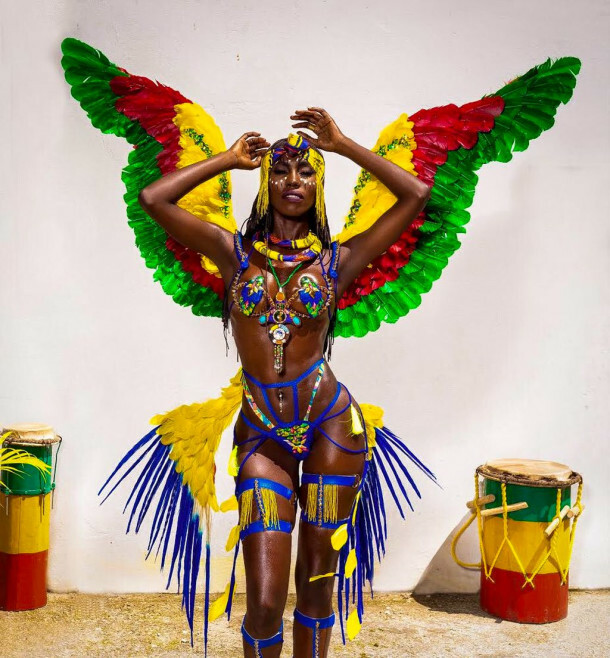 Ethiopian Queen - Wire bra and strappy bikini set with feather detail. Accessories: Eagle Wings, Fringe Headwrap, necklace, Fringe Thigh Pieces and leg straps and cuffs. Supportive Halter Monokini with tassel detail at hip. Accessories: Small Collar, Fringe Headwrap, necklace and cuffs. Upgrade Options: Wing and/or Feather Leg Piece. Wire bra and High waist bikini with tassel detail at hip. Accessories: Small Collar, Fringe Headwrap, necklace and cuffs.